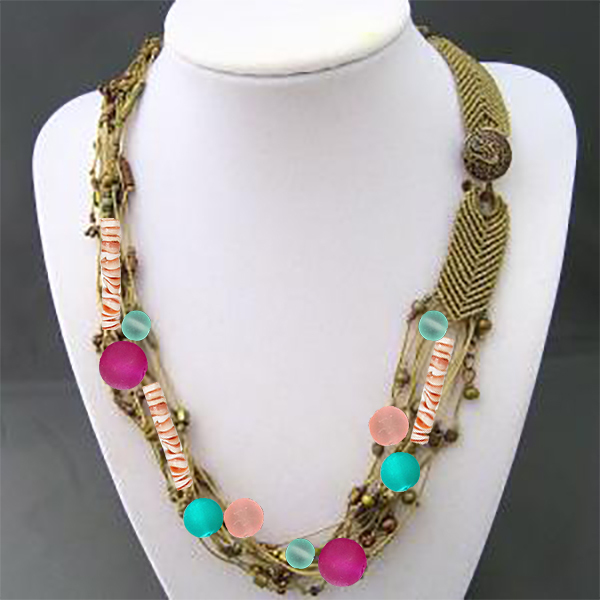 Capture that Caribbean flair in this wonderful-to-wear Cozumel necklace and earrings! 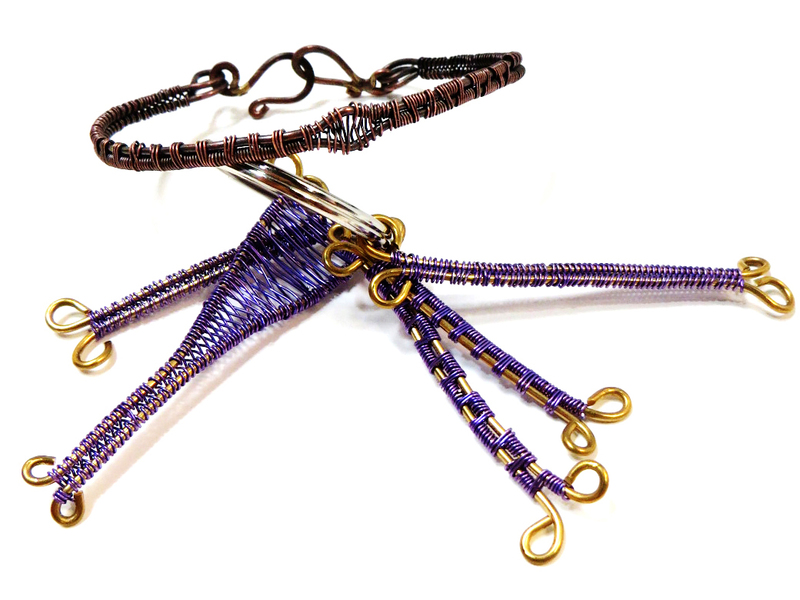 Wrap Bracelets are constructed using a technique strongly related to loom weaving, with influence from basket weaving. The technique used to weave Wrap Bracelets is typically referred to as “laddering”. Here, you set up two warp cords (the leather) and weave, using either a Soumak or a Basket Weave Figure 8 pattern, with 2 needles, to create a composition between the two warp cords. 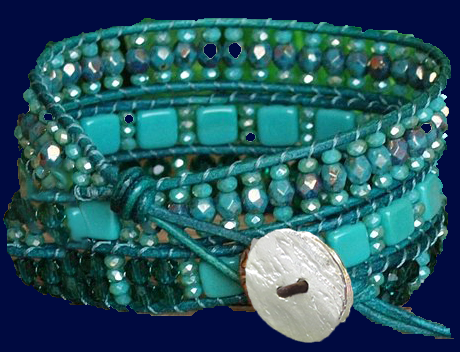 Capture the colors, patterns and textures of the Aztecs within two lengths of leather in this Wrap Bracelet! 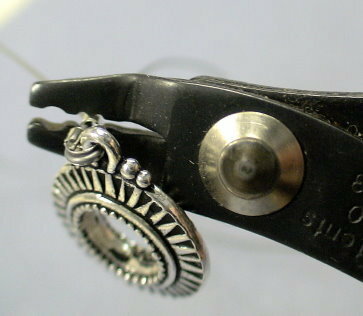 Wire weaving is a set of techniques, similar to basket weaving, where you wrap thin weave wires around thicker base wires to create patterns and textures. 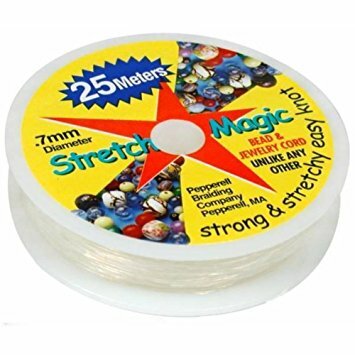 You can then use these wire-woven strips to make all kinds of things, such as the framework to turn a cabochon or bead into a pendant, earring dangles, bracelets, bails, and the like. You will be amazed how easy and quick it is to weave with wire and create a bangle bracelet! 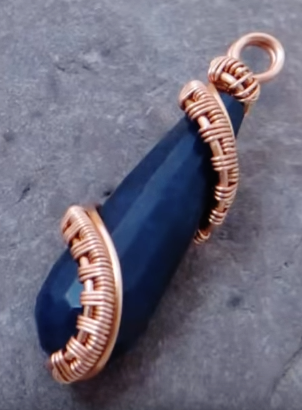 Turn any bead into an exciting pendant with this wire weave wrap technique! Crimp like the pros! 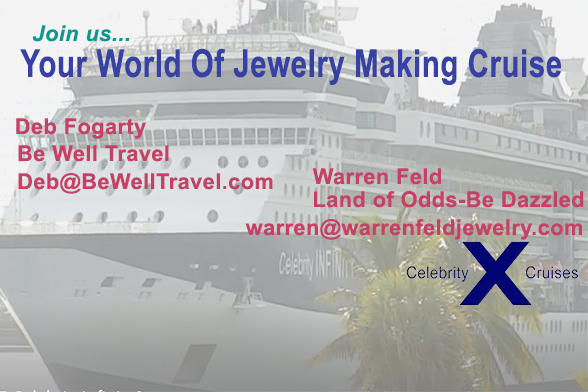 – Learn those 4 easy steps to crimping and make a simple bracelet. Stretchy bracelets are fun and easy to make, but first you must learn how to choose an elastic string, prepare the string before stringing, and finish off your piece. - What steps you need to take to minimize memory loss, prevent breaking, and reduce the chance the two connected ends will come undone. Stretchy bracelets are all the rage – learn how the best designers make them!